Jupiter is the largest planet in our Solar System and, because of that, it’s been photographed many, many times. We’ve seen the planet’s swirling cloud tops and its iconic Great Red Spot more times than we can count, but the planet’s South Pole doesn’t get nearly the same amount of attention. In a new series of images captured by the Juno spacecraft we get one of our best looks at the planet’s underbelly, and boy is it a treat. We often think of Jupiter as a milky mix of browns, reds, and off-whites, but as these gorgeous photos showcase, the planet has a much more colorful personality when viewed from other angles. The striking blue swirls twist in intricate patterns that look more like a painting than something we’d expect from an alien world, and the gas giant’s thick atmosphere creates quite the spectacle. 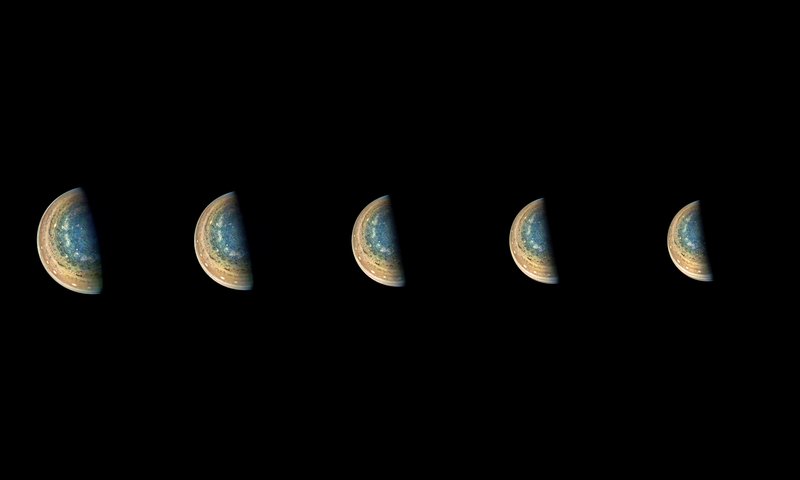 The photos, while similar, are actually taken from slightly different angles and were captured over the course of about 40 minutes as the Juno spacecraft swung around the planet’s South Pole. The trip was Juno’s 11th close flyby of Jupiter, having already delivered some fantastic images over the past few months. Juno first arrived at Jupiter in July of 2016 after being launched way back in 2011. 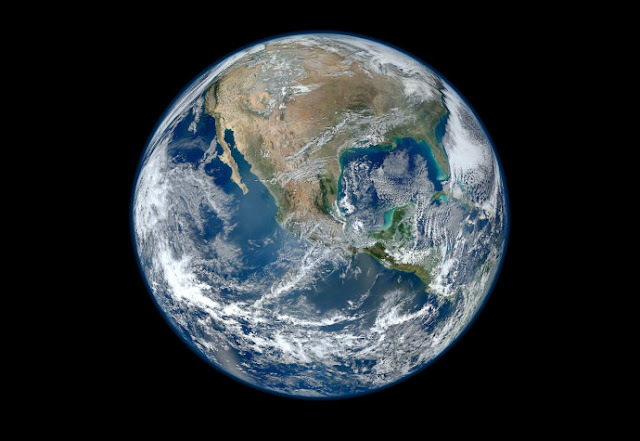 Its primary mission is two years of science observation of the planet, which it is scheduled to wrap up in about six months from now. However, the spacecraft will have the opportunity to gain a new lease on life with an extended mission and additional goals once it reaches that point. Many NASA spacecraft have continued to provide valuable insights and data well past the end of their primary missions, and it seems likely that Juno will get the chance to do the same.